Watch the crews speed along London’s famous river Thames in the annual Head of the River Race and Women’s Eights Head of the River Race rowing events. Taking place over two separate weekends in 2019, the races see hundreds of national and international crews of eight rowers take to the waters to compete in this historic event. Rowed over the 4.25 mile (6.8km) Thames Championship Course, the race begins at Mortlake and ends at Putney (the opposite direction to the Oxford and Cambridge University Boat Races), taking around two hours from the time the first crew sets off to the time the last crew crosses the finish line. Crews start one after the other, at 10-second intervals. The winner is the crew which completes the race in the fastest time. Founded by Cambridge and Tideway oarsman Steve Fairbairn, the historic Head of the River Race first took place in 1926 as a way for crews to practise long rows during winter, with the first Women’s Eights Head of the River Race taking place the following year. The annual event now receives entries from hundreds of crews from all over the world. Only two crews competed in the first race in 1927. Today, around 2,880 women race with ages ranging from 15 to over 70. It is the only race in the UK where novices can compete in the same event as Olympic champions. Check back closer to the date for confirmed 2019 race times. More than 400 crews take place in the race with rowers coming from as far as Australia and the USA. The fastest record for completing the course is 16 minutes and 37 seconds, set by the GB team in 1987. The 2019 race is provisionally scheduled to start at 11.30am. Pack your picnic and Pimm's and arrive at least 45 minutes early to secure a good viewing spot, as the banks of the river Thames are usually brimming with spectators. 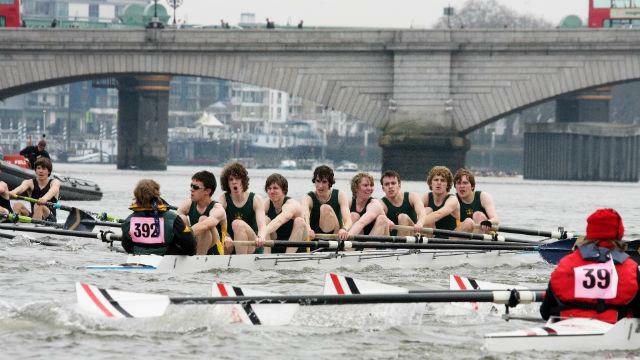 See the crews off from Chiswick Bridge, cheer them on from Barnes Bridge as they gather pace, or watch them approach from the Hammersmith Bridge. You can also try to find a good spot on the river banks or a seat in a cosy pub along the course. Take a look at the map of the race course.